LETHARGY, CRAMPS, NAUSEA, HEADACHES, DIZZINESS AND LOSS OF CONCENTRATION ARE ALL SYMPTOMS OF DEHYDRATION. When you cut out processed refined carbs, your body’s first reaction is to use up all the body’s glycogen stores. After this point your liver begins to convert nutritional fat and body fat into ketones for energy - a much superior energy source than glucose. However, as you lose all this water the hydration from the carbo-hydrates, you also flush out and dilute your electrolytes. So you’re left thirsty and electrolyte deficient. Electrolytes are also lost in sweat during exercise, including sodium, magnesium and potassium which are vital for the body to function properly. You can get these crucial electrolytes by adding a little extra sodium (specifically pink Himalayan sea salt, not table salt) to your food and eating plenty of fish, grass-fed beef, chicken, nuts, raw cacao, leafy greens, mushrooms and avocados. Himalayan pink salt is bursting with taste and flavour plus is also packed with minerals like Calcium, Magnesium and Potassium. It’s these minerals that actually give Himalayan salt its characteristic light pink hue. Supplementation is also very important to replenish your body with the right balance of electrolytes. You should always obey your thirst. Generally if you wait until you're thirsty you are likely already dehydrated. A good indicator is to monitor the colour of your urine. If your urine is yellow, you need to drink more water. Clear pale urine is an indication that you’re well hydrated. Never go thirsty folks! How to best keep stay hydrated? I keep these supplements in my office and have one Precision Hydration tablet plus 2-4 megahydrates daily. I consume a little extra Himalayan pink sea salt and use magnesium oil spray after my evening shower (if this makes your skin tingle then you know you need it!) plus I take magnesium capsules daily. I also add Epsom (magnesium) salts to my bath. During the initial transition into ketosis your body will flush out a tremendous amount of water. 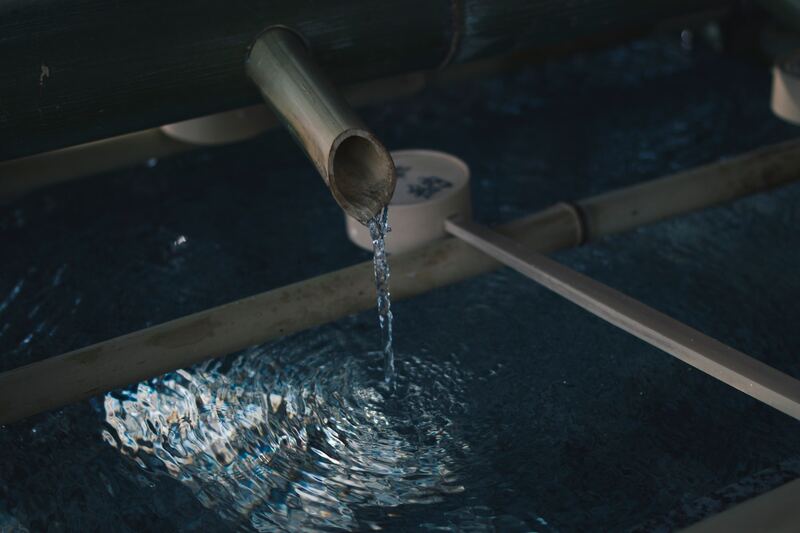 You’ll notice you urinate a lot (can be annoying in the middle of the night) but you’ll lose the ‘bloatedness’ from the water that the glycogen stores need to be stored in the body. This is one of MKb’s favourite products. By far one of the best and most abundant antioxidant supplements on the market!! I take two capsules twice a day with my exogenous ketones and filtered water. Living in London I never drink tap water as its full of toxins including chlorine. Buying bottled water can be expensive plus is causing serous problems in our oceans. So i bought an Ultrastream which is permanently attached to my kitchen tap. Note: it’s just for cold water. Hot water damages the filter. Thankfully it comes with a clever switch so you don’t have to detach from your tap every time you need a drink. They're expensive I know, however weighing up the cost of bottled water plus plastic damage to both your body and the planet I think its worth every penny! I fill my water bottle ⅔ full, add a sachet of exogenous ketones (a caffeine version in the morning and non caffeine in the evening) and add the contents of 2 megahydrate capsules or a small spatula of the mild tasting megahydrate powder, shake it up and voila!! A hydrating, ketone bursting, fat burning drink all in one. ‍Is a powerful antioxidant supplement that promotes essential full-body hydration and hydration is key to optimisation. It’s also an essential part of weight loss, maintaining a healthy weight, supports stamina, memory, mental acuity and provides a defence against the effects of ageing. MegaHydrate™ is a cutting edge dietary supplement boasting one of the highest antioxidant potentials on the planet. It’s the key to unlocking the hidden nutrient enhancing potential of water inside your body. The recipe for healthier cells and a healthier body. What are the Benefits of MegaHydrate™? Alkalises the body making it an unsuitable environment for harmful organisms. Neutralises the acids that cause degeneration and ageing. Encourages waste removal in the body. Promotes healthy hair, skin, and fingernails. A daily dose has more antioxidant power than hundreds of glasses of fresh vegetable and fruit juices, broccoli, Brussel sprouts, leafy greens and other foods rich in antioxidants to prevent free radical damage. Collagen within our skin accounts for some 75% of the dermal layer and it is this layer that is responsible for the elasticity and resilience of skin. Collagen is made up of silica which allows skin to hold together. For moisture retention, skin comprises of collagen, elastin, polysaccharides and other compounds. All of these have large amounts of silica and without silica skin will lose its elasticity. Additionally silica slows down the skin’s ageing process particularly with sagging skin, which makes one look more prematurely aged. MegaHydrate™ is a powerful antioxidant supplement that promotes essential full-body hydration. Dehydrated cells cannot properly absorb nutrients or get rid of waste. Over time this leads to nutritional deficiency, cellular oxidation, and a dangerous build-up of toxins. 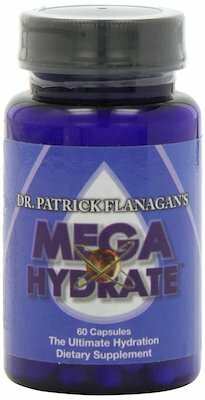 MegaHydrate™ is the key to unlocking the hidden nutrient enhancing potential of water inside your body. It’s scientifically tested, safe, and has no known adverse side effects. One of these tablets is 2x stronger than a typical electrolyte drink. Take to combat cramp, dizziness, dehydration and fatigue. Take the 'hydraytion test'. You can do this online. Is a must for professional athletes when they're competing to know exactly their sweat levels and how to stay properly hydrataed. For maintenance, dissolve one effervescent table in 500ml of water. 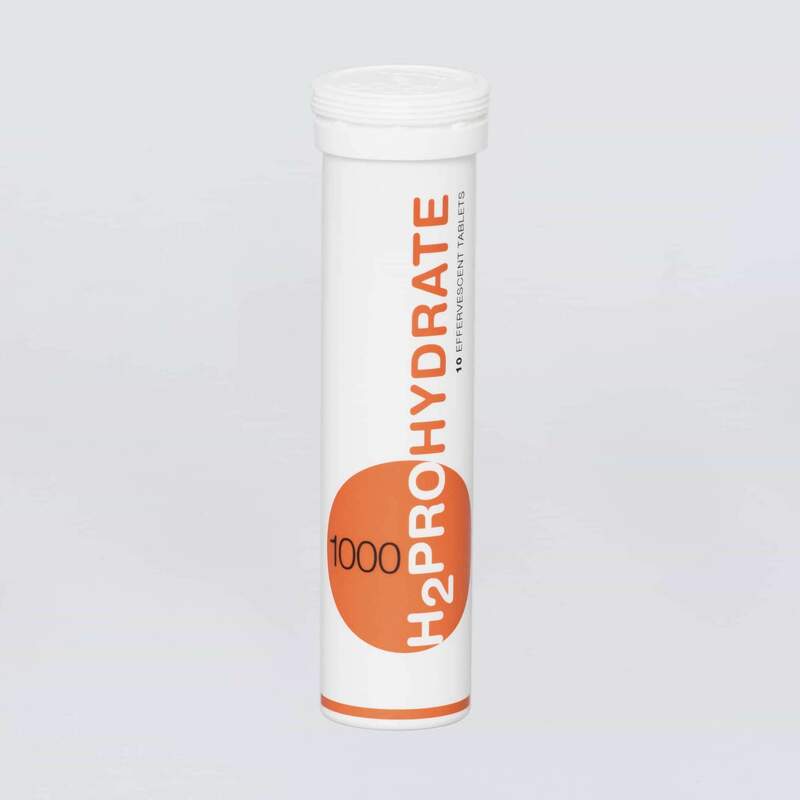 This product contains 1000mg sodium, is low calorie and will keep your essential electrolytes topped up. Research says we need 3000mg - 5000mg of sodium daily. This varies depending on how much you sweat!